PTM Group, A leader in the sale, distribution and maintenance of commercial vehicle parts, was incorporated at 1990. 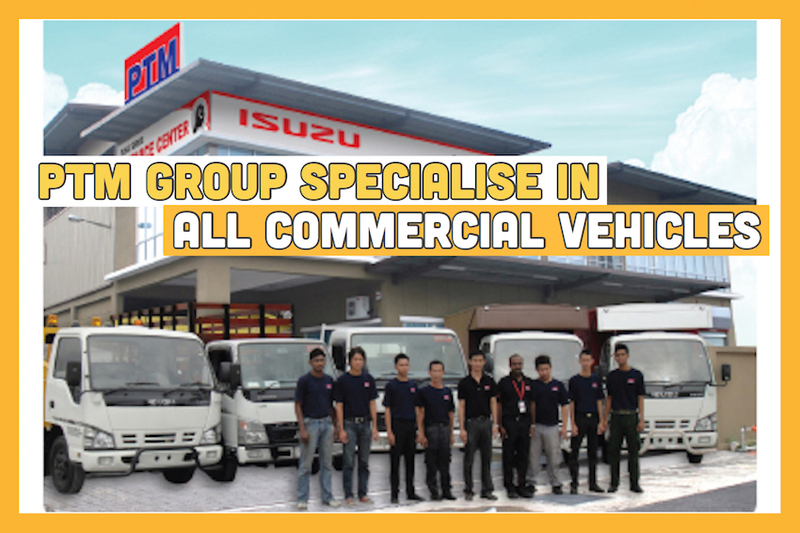 PTM Group is a Malaysian based company which dealing with New & Used Commercial Vehicles and authorized dealership of ISUZU, DAIHATSU, INOKOM, NISSAN UD, MITSUBISHI FUSO & TUAH. Our specialist covered 24/7 Toll Support & Mobile Repair Services & heavy & light industries. Over the years, PTM has successfully diversified its business under its Group of Companies. There are a number of companies under PTM with diversified businesses to provide relevant services to the automotive industry: PTM Automative Sdn.Bhd, PTM Trucks Sdn.Bhd, PTM Accel Sdn.Bhd, PTM Service Centre Sdn.Bhd, ENGTA Industries Sdn.Bhd, PTM Sejati Sdn.Bhd and PTM Academy Sdn.Bhd. PTM had setup 2 service centre located in Selayang & Kota Damansara in June 2011, to fully covered the Body Builder under 3s Services, Branded Spare Parts & etc. Other than service centre, they also have few branches around Malaysia, like Penang. Meanwhile, they also have well-renowned international brands specialising in lubricant oil such as Castrol, Petronas to ensure high performance of your vehicles and value-for-money services. With the company’s strong management team, their company’s business is expected to growth drastically in the next few years as well. The company will continue expanding our 3S Service Centres & showrooms coverage in various locations in peninsular Malaysia in order to meet the excess demands. The management team is also planning to obtain dealership for local and foreign made automobiles. The directors intend to start up a business where its principal activity will be to service and repairing vehicles ie. operating as a commercial vehicle workshop. How to start posting an ads in Truck Trader? !